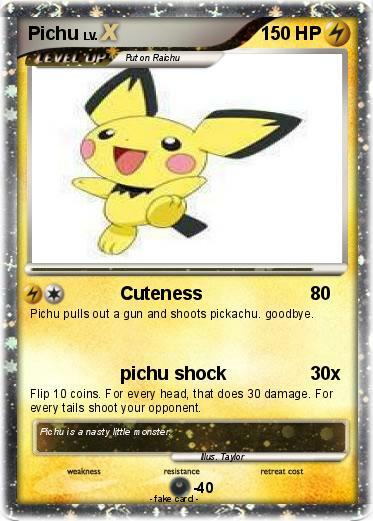 Pichu pulls out a gun and shoots pickachu. goodbye. Flip 10 coins. For every head, that does 30 damage. For every tails shoot your opponent. Comments : Pichu is a nasty little monster.